Time is a very fluid thing, no one really has a grasp on it other than maybe how to measure it. As the maestro of the Day by Day Armageddon Universe, I have the latitude of being in control of that time. I can adjust the slider either direction, moving the timeline back and forth along the continuum. This is one of the perks of creation, the benefit in constructing something (albeit small) from nothing. Sort of makes you wonder what the maestro of the universe is up to, no? You have again stumbled upon a ticket with service through the apocalyptic wastes, but this time the train is a little bit older, a little more beat up, and maybe a little wiser. Keep your doors locked. J.L. 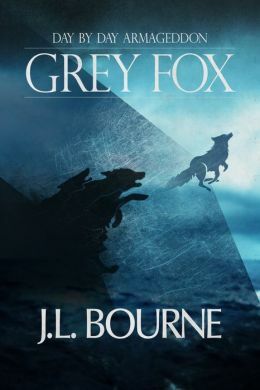 Bourne is an active duty military officer and and the author of DAY BY DAY ARMAGEDDON (September 2009), and its sequels, DAY BY DAY ARMAGEDDON: BEYOND EXILE (July 2010) and DAY BY DAY ARMAGEDDON: SHATTERED HOURGLASS (December 2012). He started out his Day by Day Armageddon series by posting handwritten installments of it on a personal website back in 2003. He had no idea he had even drawn in readers for a while until they started emailing him (there were no metrics back then). On top of being an active duty military officer, Bourne also has a very active social media presence. This entry was posted in Science Fiction, Short Story, Zombie and tagged Day by Day Armageddon, E-Short, Fiction, J.L. Bourne, Science Fiction, Short Story, Zombies.